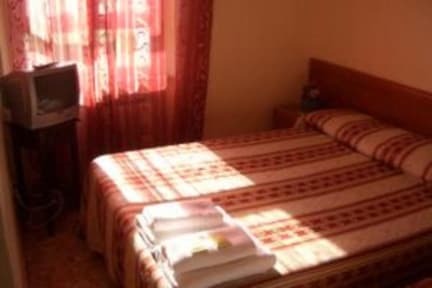 B&B Stella Elsa v Řím, Itálie: Zarezervujte nyní! Conveniently positioned within walking distance of Roma-Termini underground and train stations, access to all bus lines and Fiumicino Airport could not be simpler. The attentive staff, the variety of facilities and the meticulous care in all the services offered ensures your stay will be as enjoyable as possible. The B&B's well-appointed bedrooms combine comfort in single, double, triple rooms and also quadruple rooms. All guest rooms are comfortable and well equipped to give a feeling of relaxed atmosphere. The wide range of facilities includes a TV, a direct phone, central heating, well equipped kitchen at our guests disposal. Reception with tourist information is available 24 hours a day with no curfew or lock-out. 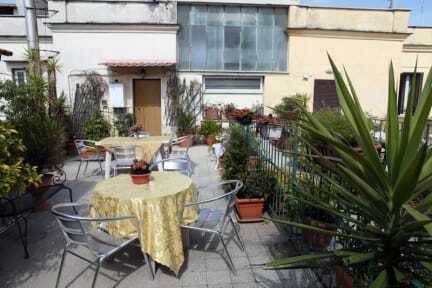 The B & B Stella Elsa is within easy reach of shopping at Via Nazionale, Via del Corso, Piazza di Spagna and the famous sights are just minutes away - you can consider the church Santa Maria Maggiore practically on the B & B's doorstep! Cancellation policy: It Is possible to cancel your reservation up to 72 hour arrival date. Failure to cancel within this time will result in a cancellation charge equal to the first night of your stay.